Since we are surrounded by pumpkin spiced lattes and spider web manicures in the blogging world, I wanted to share some beautiful fall themed jewelry available on Etsy. 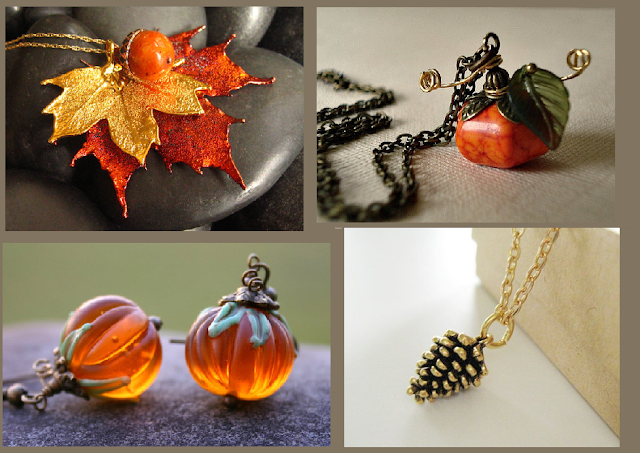 Fall themed jewelry could be a subtle way to celebrate the changing seasons without looking tacky or "jump on the trend". Here are some of my favourite pieces.